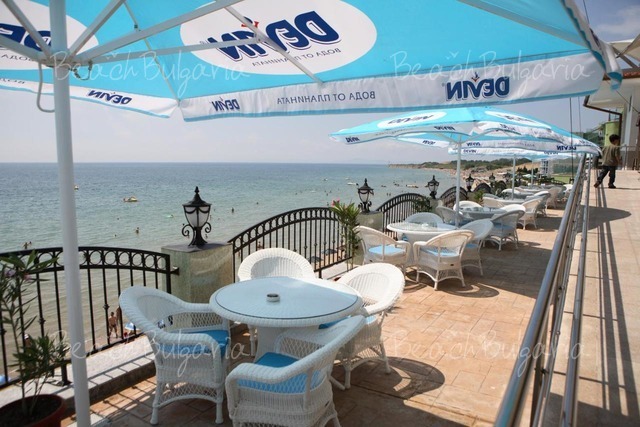 Mirage hotel is located on the sea shore at the South beach of Nessebar, 500 m from the old part of the town. 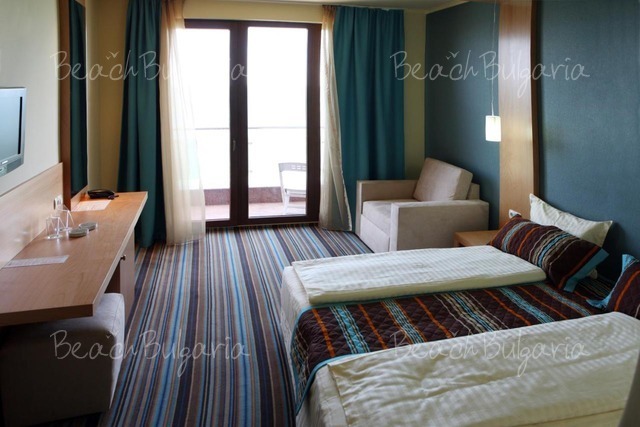 The hotel offers 56 double rooms and 2 suites. All rooms feature balconies, most of the with sea view, telephone, SAT TV, mini-bar, bath-room with bath-tub, hair-dryer, air-conditioner. 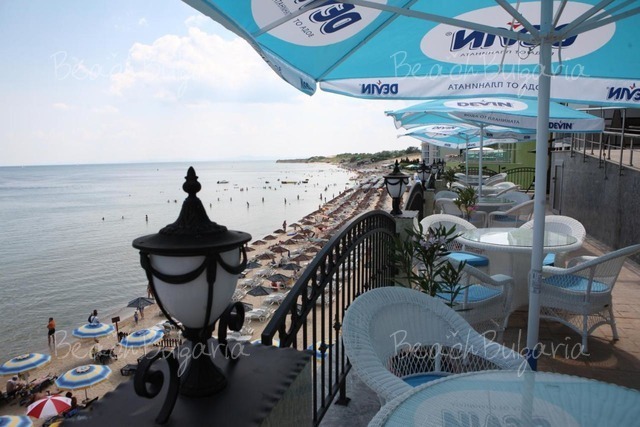 The hotel offers lobby bar with a terrace and sea view. 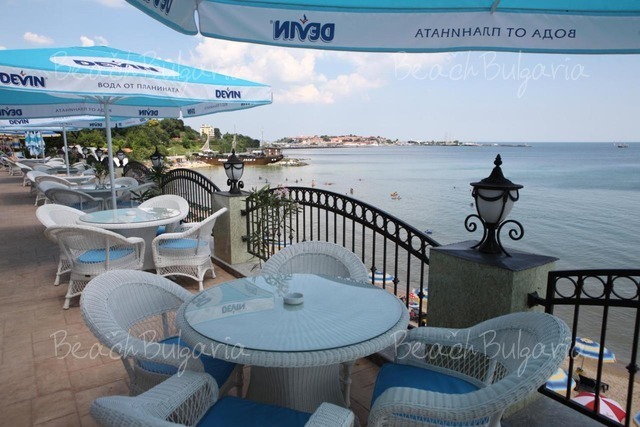 At guests disposal is restaurant with 200 seats, Bulgarian and Mediterranean cuisine and room service. The hotel offers outdoor swimming pool for adults and children, children playground, fitness, sauna, steam bath, massages. * The prices are in Euro per room per night, breakfast included. 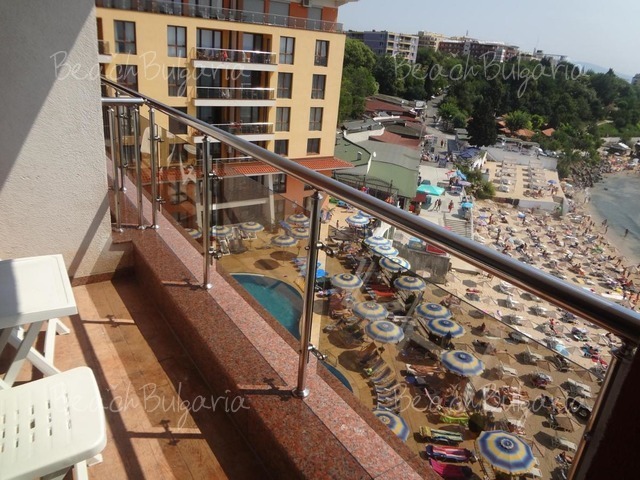 Guests ofthe hotel can use swmming pool, parasole, sunbed near the pool for free. * Maximum capacity: Double room - 3 adults or 2 adults + 1 child. * Cancellations can be made free of charge providing details of this are received at least 7 days prior to check-in time on the day of arrival and 14 days during 01 July - 19 August 2019 - cancellations made after this period will incur a fee equivalent to the cost of 3 night's accommodation. It is a really good hotel with all these facilities: Bar, Beuty shop, confereance hall, fax and email services, fitness center, internet, laundry, massage center, medical services, parking, resturant, suna, taxi, it was a great stay it made me feel at home and even better! Please, post a comment on Mirage hotel. - 10 % discount until 30 April 2019. 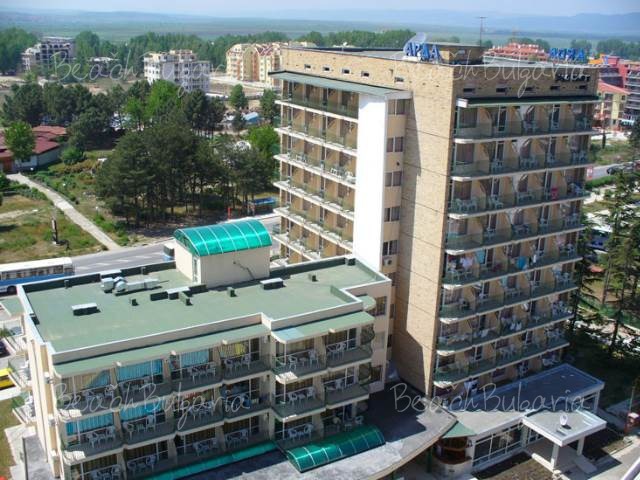 All inclusiveBest deals Aktinia Hotel Sunny Beach Get free overnights - 7=5! 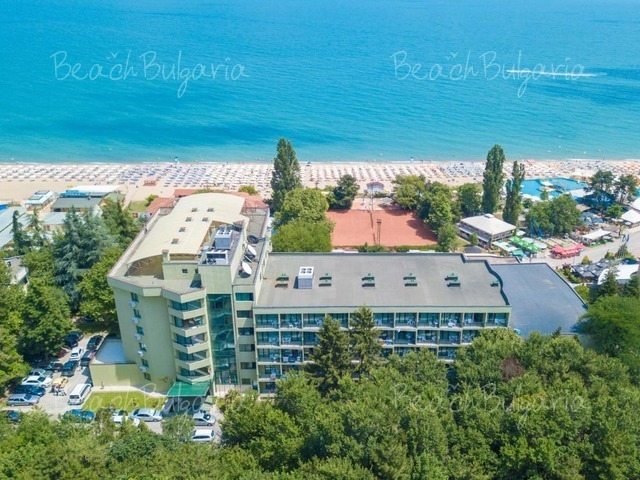 Early booking Arda Hotel Sunny Beach - 15 % discount until 30 April 2019!